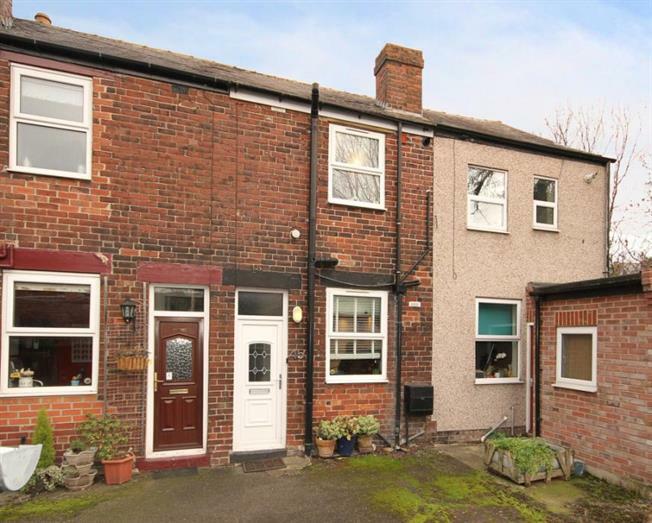 2 Bedroom Terraced House For Sale in Sheffield for Guide Price £185,000. Blundells are delighted to be offering for sale this superb mid terrace property situated in the ever popular Sharrow Vale area of Sheffield. This property is ideally positioned to benefit from a range of great local amenities, being in close proximities to the shops and popular restaurants on Ecclesall Road, Sheffield Botanical Gardens and Endcliffe Park, yet enjoys a peaceful off road setting. Transport links to Sheffield city centre are frequent from this area. The property comprises of a front facing kitchen benefitting from a comprehensive range of wall and base units with rolled top work surfaces over, breakfast bar, integrated electric oven and grill with gas hob over and extractor above, integrated fridge, integrated sink with drainer and space and plumbing for washing machine and dishwasher. A handy under stairs storage area is a useful feature. The lounge is neutrally decorated and its focal point is its original brick fireplace with an Indian stone hearth upon which sits a stylish Aga multi fuel burning stove with an oak shelf above. The pleasant ambience of the room is supplemented by the selection of pendant style filament light fittings. An archway leads to a rear facing light and airy Upvc conservatory which looks out to the garden area. Staircase rises to first floor landing area. A rear facing double bedroom with Upvc sash window looks out over the garden area which sits closely by the Porter Brook. The family bathroom has a suite in white comprising hand wash basin, low flush WC and bath with shower over. A useful storage cupboard and enclosed combination boiler are situated in the bathroom. A second staircase rises to the second floor double bedroom with rear facing velux window and useful eaves storage. Externally the rear facing private garden enjoys a raised decking area, an area laid to lawn, a selection of mature shrubs and backs on to a wooded area and the Porter Brook. To the front of the property is a gated courtyard area with twin outbuildings. This lovely property benefits from gas central heating and double glazing.